Can a book be done in by good buzz? I was discussing the phenomenon that is The Guernsey Literary and Potato Peel Pie Society with another blogger recently, and she commented that she wouldn’t touch this book with a 10-foot pole. “Everyone loves it too much!” was her comment. I’ll confess that I too get cynical about wildly popular books, especially when they lean toward the sentimental. But I love an epistolary novel, and this book was on my list even before I began blogging, so I wasn’t going to let the hype steer me away. For the one or two folks who’ve not heard of this oddly titled book, here’s a quick run-down: Told entirely through letters and a handful of journal entries, The Guernsey Literary and Potato Peel Pie Society tells of a young writer, Julia Ashton, and her relationship with the people of Guernsey, one of the Channel Islands occupied by the Germans during World War II. The book is set shortly after the war, and the people of Guernsey tell Julia of their life during the war, when they were effectively cut off from England. The literary society of the title was established as a spur-of-the-moment ruse to explain to a German officer why several (eventual) society members were out after curfew. The society eventually turned into a hub of community life that continued after the War. I enjoyed listening to this book. The letter writers are represented by several different actors, which helps in giving each character a unique voice. (Whether the unique voices come across so well on the page is not clear to me.) The story is pleasant enough, and it’s not the kind of sentimental pap I worried that it might be. Yes, it’s sentimental, but given the things the islanders went through during the war, the emotions didn’t seem out-of-place. I liked the characters well enough and looked forward each day to getting into my car and driving to work so I could see what would happen to them next. Julia, particularly in the first half of the book, is smart and witty and fun to listen to. The stories of wartime Guernsey were also a treat for me. I knew nothing about the occupation of the Channel Islands, so I appreciated the bit of history there. The Guernsey-ites write honestly of their difficulties, and although it’s clear that the literary society was a help to them, there’s no sense that reading solved their problems. The book doesn’t get that trite about reading. The emphasis is more on how the literary society became their community; the reading was part of it, sure, but it was almost beside the point. It gave them a reason to get together. I did enjoy many of the discussions of literature, especially the ones where the islanders were critical of what the great authors had to say. But those discussions are a relatively small part of the book. So does the book live up to the hype? For me, it does and it doesn’t. I enjoyed it very much as an audiobook. I’ve said before that I’m often less critical of audiobooks that I am of print books. There are some flaws I don’t mind in audio, but that madden me in print, and this book does have some of those flaws, particularly in the last half. The characters are likable, but they are, for the most part, types. If you’ve read a book or seen a movie about quirky small-town Brits, you’ve met most of these people. And then there’s one character in particular, Elizabeth, who’s too perfect to be believed. Everyone adores her—well, everyone except for the one person who makes it her business to disapprove of everyone. I suppose I’m that person as well because I got so tired of hearing about her. No one is that plucky and perfect! There’s also the problem of narrative structure. The first half of the book was terrific in that I wasn’t quite sure what would happen. I knew Julia would go to Guernsey eventually, but I wasn’t sure what would happen to her there and what long-term effect, if any, it would have on her life. But once Julia gets to Guernsey, at about the midpoint of the book, there’s a strange sort of narrative break. The story changes direction completely. Julia seems to become a completely different sort of person with completely different desires. I could imagine such a change in priorities happening gradually, but it’s not gradual. And at this point, the conclusion of the story becomes obvious—and less interesting. I can’t help but wonder whether this shift came from there having been two authors. So, no, this book won’t stand on my list of the greatest books ever. But it is a nice comfort read that takes seriously both the pleasures and the pains of life. It doesn’t quite live up to the hype, but I’m not sure there’s a book out there that could. The first half of Guernsey comes pretty close. 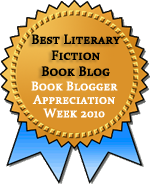 This entry was posted in Audiobooks, Fiction, Historical Fiction. Bookmark the permalink. I agree with absolutely everything you said Teresa – I felt the same way too, it was a nice but not great read for me. I really enjoyed Guernsey and I went in with the understanding that the book was completed and worked on by a second author, so that made the transition less jarring for me. Would I have preferred more continuity — yes — but given the circumstances of the book’s publication and writing, I let it be. I enjoyed this book and found it a good read, but its not the best I’ve read. I wasn’t the blogger you were talking to, but I haven’t wanted to read it because of the hype. In general, I am not attracted to mega-hyped books. I usually like to wait a little and see if they have any staying power, unless it’s an author I know is reliable. Good review, thanks! Annabel: Thanks. It’s always nice to know you’re not alone in not being crazy about the book everyone adores. I’m glad I read it, though. sagustocox: I knew about the circumstances of publication, but I do wish that the second author, or an editor, had worked to make the tone more consistent. I wouldn’t have even minded a more open-ended conclusion. Jenny: I’m not necessarily drawn to mega-hyped books, but, in this case, I was interested in the book before the hype started, and I didn’t want to let the hype deter me. No, in print, the letters all sounded a like. And I’m with you on the disappointment in the second half of the book. It just fell flat. Even all the delightful book talk seemed to cease. I believe that was a result of the death of the author. Her niece, who is a successfully published children’s or YA author, jumped in to finish the second half. It’s really too bad, because I much preferred the book talk and, as you say, the unknown, aspect of the first half. Rebecca: I would have liked this quite a lot had the second half matched the first half. It’s too bad.